Will the Samsung Galaxy S get Android 2.3? Not even Samsung knows. Samsung has heaped a whole load of trouble on itself after it came clean that the company has no idea whether it will be offering the Android 2.3 update to Samsung Galaxy S smartphone users. Pocket-lint spoke to Samsung and asked whether the new Gingerbread update would be coming to the Samsung Galaxy S, following the unveiling of its new flagship smartphone, the Samsung Nexus S, which will launch in late December. “In case a new version of Android operating system is publicly announced and released, Samsung will review the possibility of implementation of such new version to the existing Samsung products with Android operating system (“Update”). Such a review will be based on various factors including, without limitation, the overall effect of such Update to Samsung products, the system requirements, the structural limitations, and the level of cooperation from the component suppliers and the software licensors”. We find Samsung’s statement a little confusing, especially considering the company has been actively working with Android 2.3 to test and design the new Nexus S smartphone. Galaxy S users are already a little annoyed at the company for taking so long to release its Android 2.2 (Froyo) update, which was delayed numerous times. That said, if Samsung does does decide to make the update available, the company says it will “use its efforts to develop such Update, which may be released to the users upon successful completion of such development”. 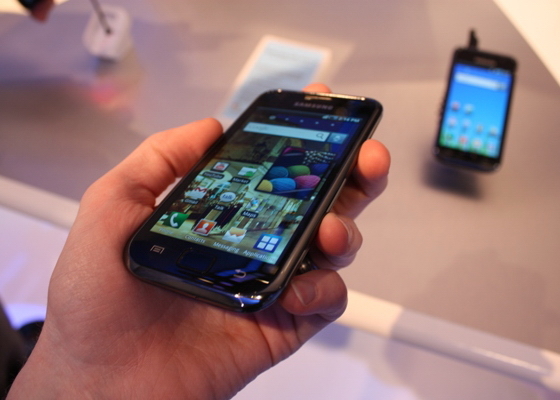 Samsung Galaxy S users seem to be getting a rough deal, more on this as it develops.